Are you struggling to get your small business’s products found online? It goes without saying that a smart SEO strategy is a must. Between Google’s constant algorithm updates and the need for mobile optimization and local search optimization, keeping up with the changing SEO landscape is essentially a job on its own. Does SEO even work anymore? Does all that time spent optimizing your website and content for Google actually pay off? Sure, stuffing a page with keywords won’t work, but SEO can still make a difference for online marketing success. 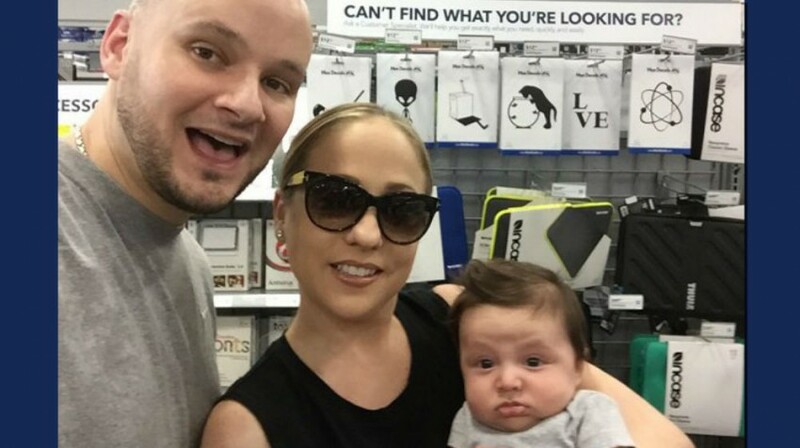 Just ask Bryan and Pamela Loconto, a husband and wife team who used their SEO expertise to land a nationwide deal with Best Buy for their Macbook stickers. Bryan and Pamela’s small business SEO success journey started in 2010 when Pamela purchased a decal sticker for her laptop on eBay. While Bryan and Pamela loved the creative concept, the sticker’s execution and design was subpar at best, and the decal lacked quality, design and simplicity. Bryan and Pamela immediately saw an opening in the marketplace for a company to produce a higher quality product. They are also classic car enthusiasts and proud owners of an original, 1961 Chevrolet Impala convertible. When Bryan created a DIY decal sticker by printing out a picture of a ’61 Impala, cutting out the headlight and placing the image over the Apple logo on his MacBook Pro laptop, inspiration struck. The couple launched Mac Decals and they haven’t looked back since. Bryan, an early pioneer of search engine optimization for small businesses, has been an active SEO consultant since early 2007. Immediately after launching their small business online, Bryan put his SEO skills to work for Mac Decals. They started with a strategic, organic push to raise awareness about the fact that an affordable, customizable sticker option existed for Apple Macbook laptops, in addition to iPad, and iPhone. Bryan and Pamela credit their SEO skills as one of the primary reasons for their accelerated success next to producing an excellent product. In 2013, Pamela and Bryan began designing custom decals for a few companies. Through organic search, major brands across the globe have been able to find and contact Mac Decals to have custom decal stickers made of their logos and other design concepts. The connection catapulted the business in a new direction with Mac Decals now offering decals to day-to-day mac users, as well as helping big brands differentiate themselves at industry events and promote brand awareness. The icing on the cake: being directly contacted by Best Buy to set up a vendor relationship supplying Mac Decals to their customers. Thanks to strong customer demand for MacBook stickers, Best Buy realized they needed to begin offering decals in their stores – and, thanks in part to a little Googling (that found Mac Decals in the top search engine results spot, of course), Best Buy decided to reach out to them directly. And the rest, they say, is history. So, what’s next for Bryan and Pamela? The couple plans to expand their business to other big box stores and also establish stronger licensing relationships with Universities, Professional Sports Teams and other household brands. Make every page count. SEO doesn’t stop on the home page. Landing pages, product pages, about us pages… it all adds up! Don’t overlook site architecture. If your customer has to spend more than 30 seconds searching for a specific product, you’ve probably lost the sale. When building your site, make it easy for visitors to search for products and simplify the checkout process. Invest in targeted Facebook ads. Depending on your product, targeted social media ads may be a more effective and affordable way to reach prospective customers than Google PPC ads. A smart ad campaign and optimized landing pages will increase sales.